Japan 2007: Revival of Domestic Manufacturing? <b>Japan 2007:</b> Revival of Domestic Manufacturing? TOKYO, Japan – Japan’s bicycle imports are likely to total 9.55 million units for 2007, another record high for a market of 11 million units. Figures for only the first 11 months of the year are available, but it’s a virtual certainty that imports for the total year will climb by 300,000 compared to 2006. The feeling in the industry is that last year will be remembered as the peak of the import flood. Changes in the business environment in China, the source of 97% of imports, are driving a review of the industry that could see a revival of domestic manufacturing. 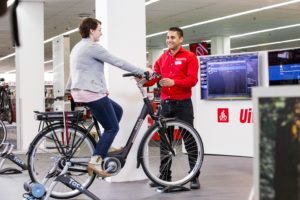 On the retail side, the success of chain stores is altering the way bicycles are sold in Japan, with the emphasis at last moving away from price to value and customer service. Statistics for the January-November period last year, compiled by the Japan Bicycle Promotion Institute from data supplied by the Economic ministry, trade statistics and the Japan Bicycle Association, show that while imports edged up 2.7% in units volume, value climbed by 13.7%. This trend of higher prices was spurred by last July’s cut in the export VAT refund rate in China, spiraling wage and social costs, higher material prices and transport costs. 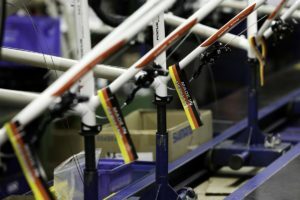 The cost of imports from China is likely to climb further: the tightening labor market is directly affecting the bike industry, which is finding it harder and harder to attract and keep workers. Moreover, labor costs have risen by 30-35% since last year, thanks in part to the new labor-protection law that came into effect on January 1st this year. To cap it off, the Yuan has appreciated steadily. Japan’s bicycle suppliers find themselves with all their eggs (97% of them) in one basket, a risky situation by any standards. A delegation from the China Bicycle Association was due to meet with its Japanese counterpart in late January for discussions on the direction of the relationship in the future, although such talking shops rarely produce results. Before the flood of imports from China, Japanese assemblers were the main source of cheap bikes for the mass merchant channel: now they have been sidelined by imports. Domestic production continued its decline in 2007, although it shrunk at a slower rate than in the past few years. Japan manufactured just over a million bikes in the first 11 months, with the year total likely to about 1.1 million. The overall market is likely to remain at about 11 million bicycles. Electric bikes continue to be strong sellers in Japan, despite a massive recall of 221,000 bikes using Yamaha’s PAS drive system last May. 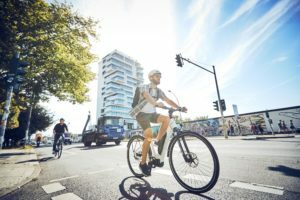 The recall, concerning possible faults in the sensor system, affected models made between January 2001 and February 2003, and all the bikes affected were sold in Japan, the world’s second-biggest e-bike market after China. At least 80% of Japanese-made e-bikes now use lithium batteries, and a wide range of styles are available from the main makers: Yamaha, Panasonic, and Bridgestone. Panasonic is said to be focusing its energy primarily on electric bikes rather than its far less profitable conventional bicycle range. The company has been coming up with intriguing new designs such as the ‘Hipster’ e-bike combining street fashion with motocross styling. Meanwhile, after years of losses, Sanyo announced a restructuring plan in July 2007. The company has been cutting jobs and selling off factories and non-core businesses since. 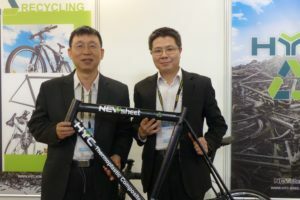 It is likely to keep its lithium-ion battery business: it is a major supplier to the world market, including the e-bike segment. In conventional bikes, so-called ‘sports’ models are steadily gaining in the Japanese market: these are bikes that are not the usual ‘light cycle’ types that sell by the million at cheap prices. One notable trend has been the rise of ‘fixies’, single-speed, stripped-down bikes with no brakes, which has spread out from bike messenger culture. Surviving Japanese makers have been delighted to fill orders for high-priced parts and frames placed by young urban cyclists. Hip young Tokyo urbanites have been going crazy for these ‘pisto’ (with sloping keirin type drop bars) in the past year, with massive coverage by style magazines and cycling publications. Nike put up huge billboards of these riders with the slogan ‘No brakes, no problem’. Custom steel frame makers say demand for their expensive products is high. Parts makers that were virtually forgotten, including Nitto and Suzue, have had their fortunes revived: their parts carry the NJS certification for Keirin track racing (which uses the fixed-gear bikes) and this is eagerly sought-after by the new generation of fashion-obsessed fixed gear addicts. The bigger brands, including Giant, are now offering affordable versions of the product at bicycle dealers. Unfortunately, brakeless bikes are illegal on the streets of Japan, and the police are taking a less than kind view of them (see below). The standout retail trend in 2007 was the rise of specialized bicycle chain stores. Chains such as Seo Cycle, Daisharin and above all Cycle Base Asahi speeded up their expansion during 2007, and will continue to do so in 2008. Mass merchant type outlets sell about 70% of the bicycles in the Japanese market, but these general merchandise stores and ‘home centers’ have been having their own difficulties as a wave of mergers and rationalization continues to sweep the sector, which is facing stiff competition in many product areas from specialized retail operations. Bicycles are no exception, as the growth of the big bike chains attests. The biggest, fast-expanding Cycle Base Asahi, expects to have 150 stores by summer 2008, a figure planned to grow to 200 by the end of the decade and 300 by 2015. 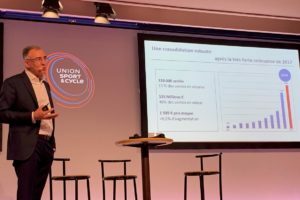 The chain’s shares are listed on section two of the Tokyo Stock Exchange and the company expects to be selling a million bicycles annually by the end of the decade. It now sells 750,000 units annually, about half of which are own-brand products. Original products are also supplied to other companies, using a fleet of delivery vehicles. The company began as a toy store in Osaka in 1975, opening its first large-scale bike store in Osaka City in 1989. Innovative marketing has helped the company to become Japan’s leading bicycle retailer; in addition to its bricks-and-mortar outlets and stores-within-stores, its sophisticated online retailing operation has grown by leaps and bounds in recent years. Asahi CB mainly sells bicycles supplied by domestic assemblers, as well as original products developed jointly with Japanese makers and produced in China and elsewhere. Its wide range of products (as many as 1,000), sold mainly in spacious edge-of-town stores, sets Asahi CB apart from both the mass merchants and cramped city-center dealers. Moreover, the chain prides itself on its customer service: assembly and maintenance by fully trained mechanics and purchasing advice from well-informed sales staff. CB Asahi is not the only specialized chain eating into the dominance of cheap bikes sold by the mass merchants: Seo Cycle continues to grow in Chiba, Saitama, Tokyo and Kanagawa metropolitan areas, while Daishrin is also posting healthy sales. Smaller chain stores such as Daiwa Cycle, Naniwa, Cycle Spot and Wing are also likely to follow the path of store standardization. Their rise will help to bring an end to the traditional emphasis on price, as well as a shift to value-added service and quality. In January this year, Japan’s government unveiled plans to build cycling lanes along roads as part of a safety drive. New rules were also announced on cycling safety. On January 17, the National Police Agency (NPA) and the Ministry of Land, Infrastructure and Transport designated in 98 districts across Japan as model zones for developing exclusive lanes for cyclists. The bicycle lanes will be completed by the end of fiscal 2009. In two of the model districts, in Tokyo’s Kameido and Hatagaya, bike lanes will be completed as early as late March. The lanes will be separated from vehicular traffic by guardrails or plantings. According to the NPA, there were 174,262 accidents caused by cyclists in 2006, about 1.25 times the figure reported a decade ago. Most of the accidents involved automobiles, numbering 144,503, while 2,767 other bike accidents involved pedestrians: 4.8 times the 582 reported in 1996. The agency and the ministry plan to examine the effectiveness of the bike lanes in terms of accident prevention once they are completed. People cycling on the sidewalk is a common sight in Japan’s cities, but it seems the police are about to crack down on such behaviour. On January 9, the NPA announced revisions to the national cycling rules, the first in 30 years. Not only is sidewalk cycling outlawed in most cases, the cops are also likely to stop you if you wear headphones, use an umbrella, talk on your mobile phone, carry more than one child or ring your bell too much. ‘Triple-riding,’ an unsafe practice in which a rider carries two children on a bicycle in attached front and rear seats, will be punishable by a fine of up to JPY 20,000 (€ 126). Warnings will be issued for other violations. Revisions to the Road Traffic Law were approved by the Japanese parliament in June last year, including several new bicycle restrictions. The NPA later commissioned a panel of experts to recommend further safety improvements to the rules, which have not changed since 1978. The new regime essentially treats cyclists as motorists rather than pedestrians, classifying bicycles as ‘light vehicles’.